Clicking on the Home Tab will show the dashboard for the local. 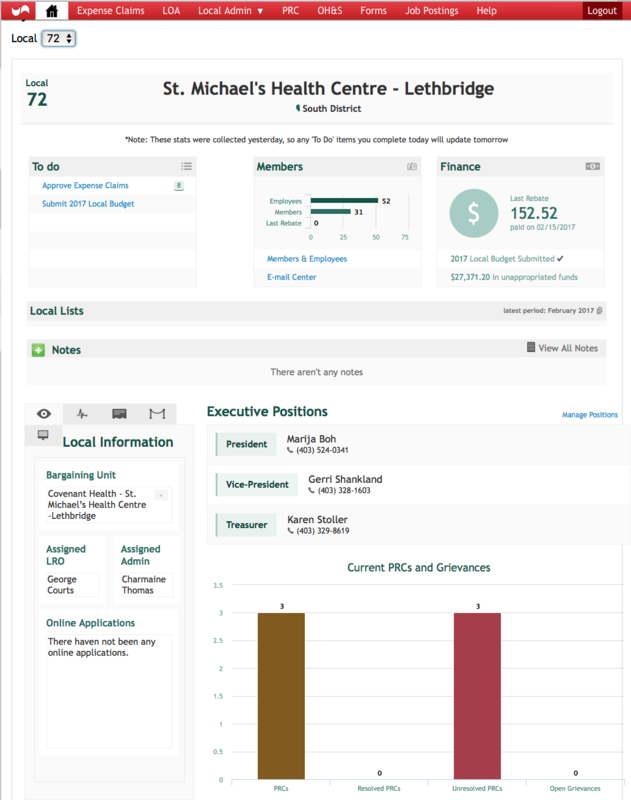 The dashboard provides all the local’s important information at a single glance. 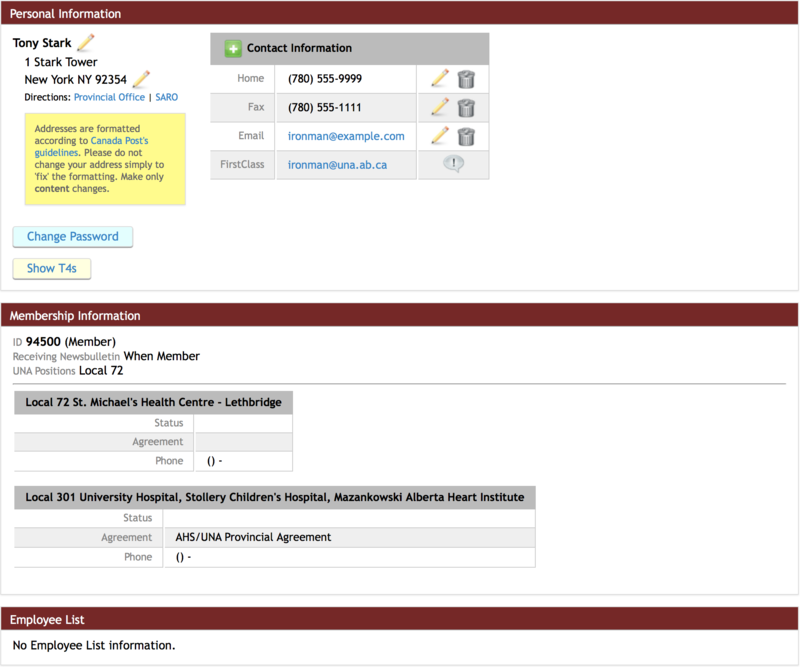 Below the Dashboard for your local is your own Personal Information and Membership Information.